What are the package types of English Ninjas? English Ninjas provides different packages for all type of users. 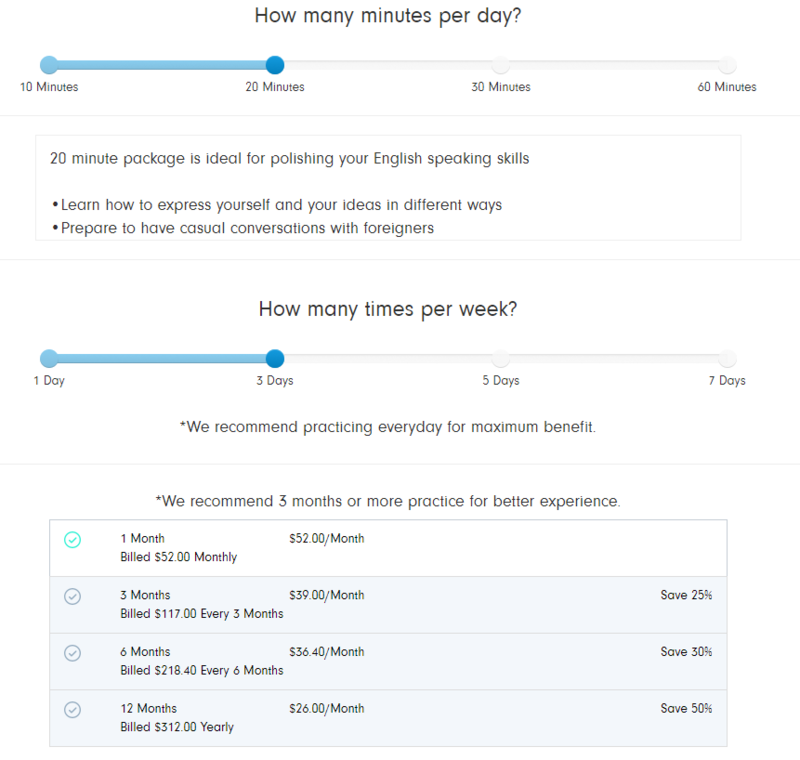 After choosim any package according to your budget and need, you can immediately start to practice. English Ninjas has 4 different type of package. Payment billed monthly from your credit card each month automatically unless you close the auto renew option. It is one of most advantageous and popular package in English Ninjas. It provides default %25 discount. 3 month bills charged from from your credit card each 3 month period automatically, unless you close the auto renew option. Our education department suggests 4 month usage in order to significant improvement! It provides default %30 discount. 6 month bills charged from from your credit card each 6 month period automatically unless you close the auto renew option. It provides default %50 discount. 12 month bills charged from from your credit card each 6 month period automatically unless you close the auto renew option.